As you can see, I’ve made many changes from stock. Check out my gear review section of the website to find out more info about a few pieces of my critical equipment. I purchased my 2006 Suzuki DRZ 400 S from a craiglist ad in Katy. 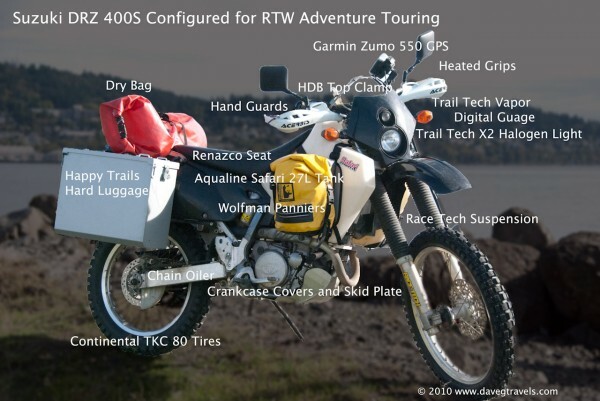 It only had a couple of thousand miles on it and I knew from the testdrive that this was going to be the bike for my RTW trip. 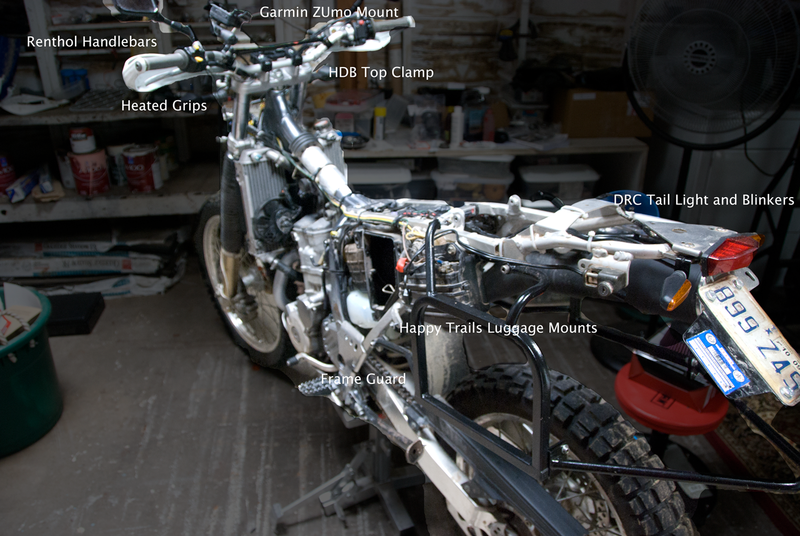 From the factory, the bike is unsuited for anything but trail riding and very light dualsporting mostly because the seat tortures you after 25 minutes. One lesson I learned on that last trip is that my F650GS was WAY TOO HEAVY. 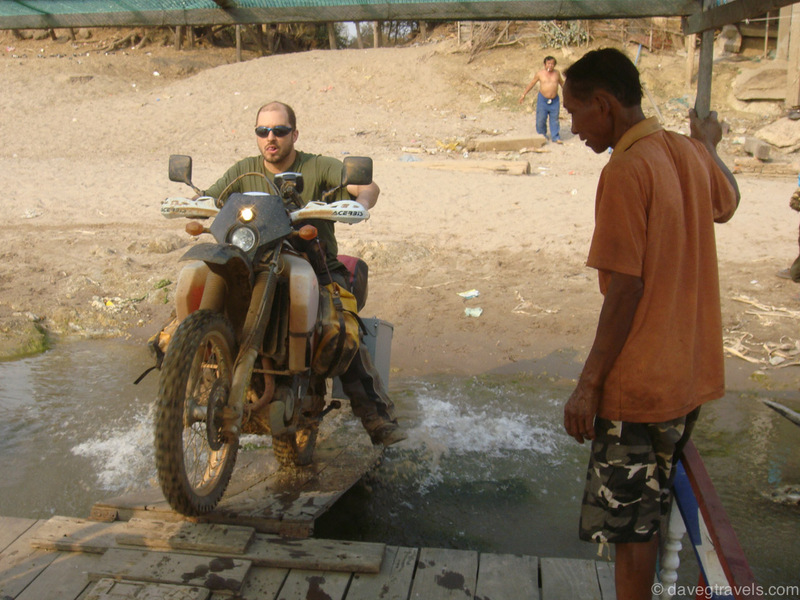 I rode for several days offroad in Bolivia that convinced me that I needed a lighter bike. The major trade off that people make when taking a smaller bike is that usually your max speed is reduced as well as is your carrying capacity. No biggy. I drive slowly in general and tend to stay off the highways. I pack super light.. so for me, the obvious choice was to take a smaller bike. 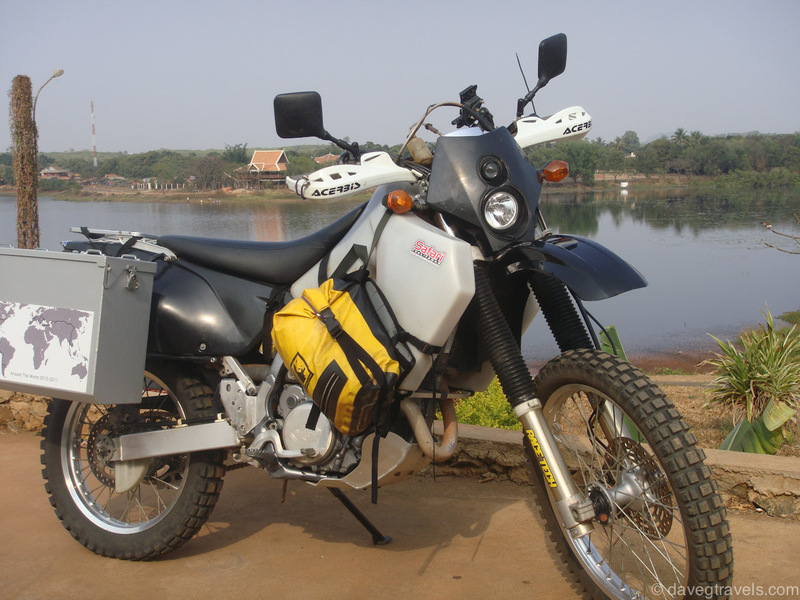 Which bike should ride to travel around the world? 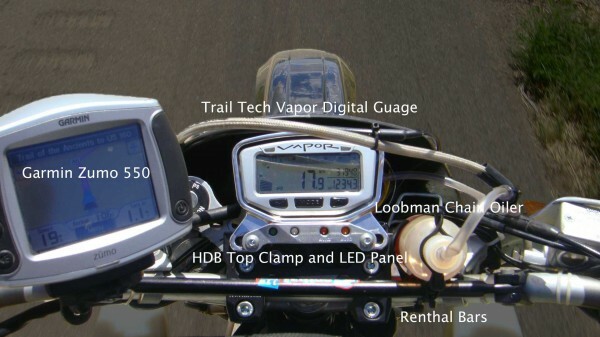 Why the DRZ 400s? I don’t remember exactly how I converged on choosing this bike as I never met anyone who had one. I think it was just the first small bike that I saw on Happy Trail‘s website that had hard bags available. 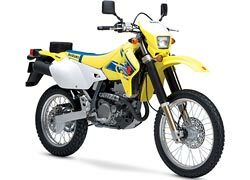 The DRZ is light at less than 300 lbs (135kg), has excellent ground clearance 11.8 inches (300mm), and has been around and proved to be a reliable machine. Right. I know what you’re thinking, it is a dirt bike!! Are you dumb? No one runs a dirt bike more than a few thousand miles! Yeah, well, I may be dumb, but according to the few others who have high milage DRZs, it seems like it’ll hold up well. The other fact I came upon is that the same Suzuki motor is used in offboard marine motors for years. I did a couple of thousand mile test drive from Texas to Colorado after I changed the seat and decided the DRZ is the bike for my trip. Original Specs? Yeah, I’ve got em.